The American Society of Clinical Oncology (ASCO) and the College of Pathologists (CAP) have just issued a joint review of available information on clinical use of “liquid biopsies” to assess circulating levels of tumor DNA (ctDNA). The full text of this review by Merker et al. is available on line for interested readers … or you can read detailed commentaries on (for example) the Medscape or the MedPage Today web sites. There is little evidence of clinical validity and clinical utility to support widespread use of ctDNA assays in most patients with advanced cancer, with the exception of those with demonstrated clinical utility or those with regulatory approval. ctDNA assays could play a future role in the treatment of patients with cancer. The bottom line is that while there has been great progress over the past 5 years or so in understanding the potential of ctDNA testing, we have a ways to go yet before this type of testing can or should be used routinely and reliably to in the management of most forms of cancer — prostate cancer specifically included. Conversely, we should probably expect assessment of ctDNA levels to become a commonplace factor in clinical trials over the next few years to see if we can get better and more reliably practical information about the associations between ctDNA levels of specific tumor types and such factors as risk for progression, risk for metastasis, and risk for death at different stages of disease. One of the major problems that affects the interpretation of ctDNA levels in the management of prostate cancer in particular is the heterogeneity of prostate cancer. 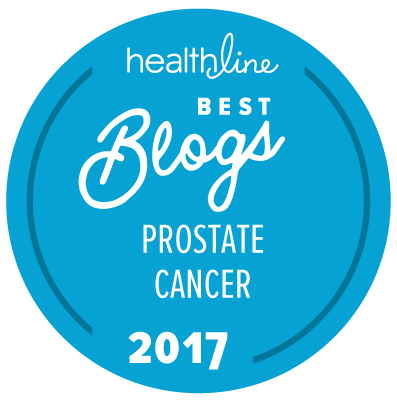 There are multiple different mutations that can occur over time in prostate cancer patients and which affect the aggressiveness of the disease, and almost no forms of prostate cancer that are dependent on and driven by a single mutation (in the patients’ germline or in the tumor itself). Thus, for example, while being a BRCA1/2 carrier may increase an individual man’s risk for prostate cancer, other mutations are commonly what actually drives the occurrence and course of his disease. While it has excellent provenance, my limited knowledge questions some of its conclusions as reported – I have not read the original. Dr. Felix Feng’s (UCSF) research suggested that liquid biopsies are concordant with tissue biopsies … and Dr. Pete North’s (Hutchinson, UW) research that at least in prostate cancer metastasized tumors are homogeneous. Research is one thing. Clinical practice is quite another. No one is suggesting that research isn’t showing interesting possibilities … but that’s very different from what we can actually tell a community medical oncologist what they can actually rely on, with a high degree of certainty, in day to day clinical practice. We’ll only know that sort of thing when the research being done by people like Feng and North can be repetitively replicated in large multi-center studies.